A qualified finance planner can help you with every aspect of personal retirement planning; including investments for retirement, as well as helping you understand the value of health and wellness in retirement. I have written extensively about the cost of college and the need to do financial planning for college. We know college costs can be well over $100,000 per child. What about health care costs in retirement? A recent study by Nationwide Insurance estimates a total cost of $250,000 to $430,000 during the retirement years for a 65-year-old married couple. The wide range is affected by geography and where folks live but even more by individual health and lifestyle factors. 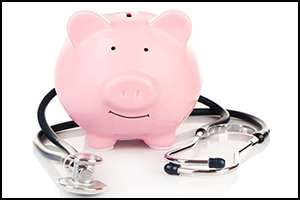 As with college financial planning, there are many ways to plan for health care expenses in retirement. The key is to start planning as early as possible – when you have more possibilities available to you including: long-term-care insurance, maximizing tax-free healthcare savings (in an HSA for example), and perhaps the most cost effective possibility – managing your lifestyle to maximize your health. Many, if not most, people believe it is impossible to predict health care costs in retirement, creating a big risk to a retirement plan. However, we actually do have good data to estimate these costs and can even personalize it – reducing the risk of under-saving for health care costs in retirement. At Tamarind Financial Planning, we are here to help you with budgeting for health care costs in retirement, using proven individual financial planning strategies and personal investment management techniques.